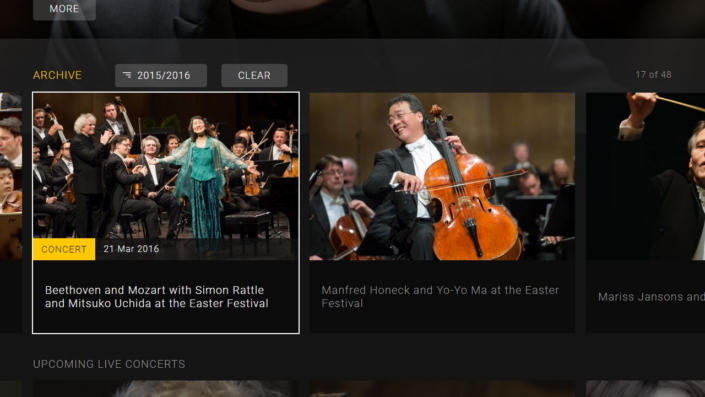 Concert performances from the Berliner Philharmoniker are now available to more people than ever thanks to an updated version of the Digital Concert Hall app on Samsung Smart TVs. The Digital Concert Hall app on Samsung Smart TVs will be updated in time for the Berlin Philharmoniker orchestra’s Asia Tour. The updated version of the app offers an improved user experience and an enhanced feature set, which includes curated playlists and work overviews of concerts. Additionally, the Digital Concert Hall will be available in the Korean language for the first time. It will be available for 2015-2017 Smart TVs. Berliner Philharmoniker is the most prolifically recorded orchestra in the world, with more than 100 years of recording history. They are named in many polls as the world’s best orchestra, and are known as the first to record a CD back in 1980. They are no strangers then to innovation. Since 2008, Berliner Philharmoniker has been broadcasting live streams and video archive recordings of its concerts through its Digital Concert Hall app. With one of the largest collections of recordings, the orchestra boasts more than 1,500 audio and visually recorded works in its Digital Concert Hall, including 50 live seasonal concerts, interviews, concert introductions, documentaries, artist portraits and educational program concerts. In addition to several improvements in its design and user interface, the new app is now available in German, English, Spanish, Japanese and Korean languages. 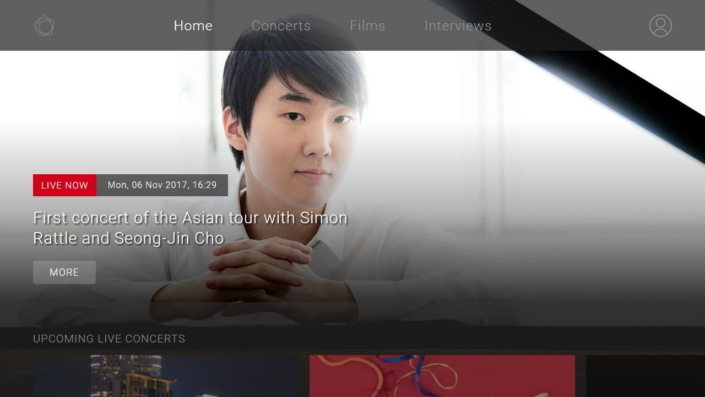 New users of Samsung Smart TV can enjoy the Digital Concert Hall app with a 30-day trial. “The new Digital Concert Hall app is a prime example of distributing excellent content across new digital media platforms. At Samsung, our goal is to optimally reproduce the image and sound of such high-quality productions with our home entertainment devices and Smart TVs,” said Sangsook Han, Vice President of the Visual Display Business at Samsung Electronics. Samsung Electronics has been using new music and gaming functionality to further enhance the features of its Smart TVs. The new apps help users unlock new levels of entertainment, which includes everything from the finest classical music concerts, live music discovery, and big screen gaming direct from a PC. Some of the most recent activities Samsung has carried out provide increased value to Smart TV customers include a partnership with popular music discovery service Shazam. Shazam grants Smart TV viewers the ability to identify songs that are playing in TV shows or films. Now, thanks to its integration with Samsung Smart TVs, it makes it easier than ever for users to discover and enjoy music. Samsung Smart TVs are also offering a new level of connectivity for gamers to enjoy. Samsung recently announced the expansion of Valve’s Steam Link to all of its 2016 and 2017 Smart TVs*. Instead of connecting Steam Link hardware to the TV, this technology enables users to stream their favorite games from their in-home PC directly to their Samsung Smart TVs via an app in the Samsung Smart Hub. 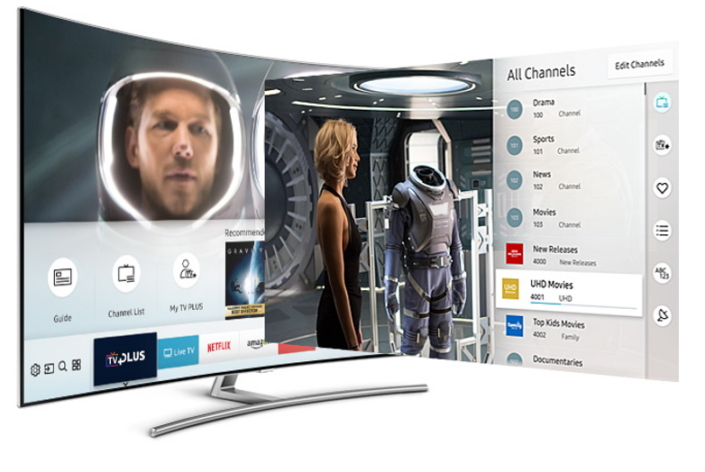 The thing that customers love about Samsung Smart TVs is the fact that they continue to get smarter and better connected. Samsung is always introducing new integrations and services which mean that you’ll keep discovering new ways to enjoy your TV. *The launching date of the music and game apps vary by country and region.